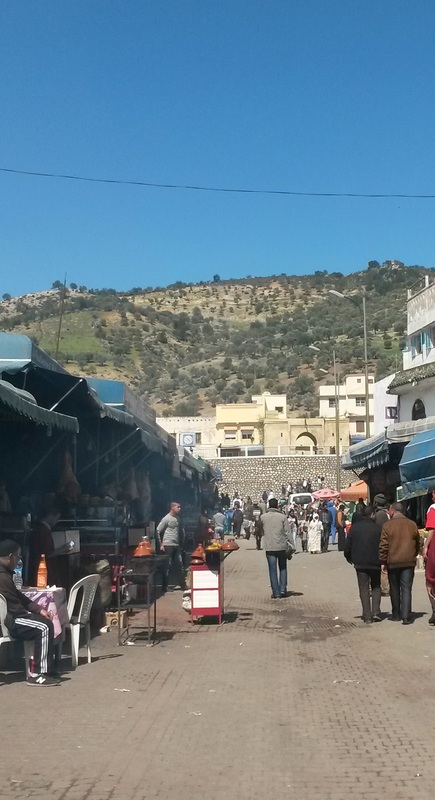 Moulay Idriss was the great-great-grandson of the prophet Muhammed (peace be upon him). We were treated to a masterful narration of his story on our bus-ride to the city by Sh. Mokhtar, which I will not be able to recapitulate. However to summarize, during the tumultuous time of the khalif Ali (karamallahu wajha = Allah ennoble his face) and the years after, there was deep discord and division as to who would become the ruler. By this time, the capital had moved to modern day Iraq and the rule of the Muslim world had entered a dynastic period with the first Umayyad dynasty established. Dynastic rule is not something Muslims are comfortable with and that was the case at that time as well. [The preferred Muslim system of rule has often been described as ‘meritocracy’ as opposed to ‘democrasy’ or ‘monarchy’]. So not surprisingly, in Medina, there was a movement to bring rule back to descendants of the prophet (peace be upon him) not simply due to lineage, but because they embodied the truest spirit of ascetisicm and ability to rule justly. In other words most ‘taking after the prophet’ (peace be upon him). The people of Medina swore allegiance to ‘Muhammed nafsul zakkiya’ (Muhammed the ‘pure souled’), the brother of Moulay Idriss. One of those who pledged allegiance was Ja’far al Mansur, who went on to found the Abbasid dynasty at the fall of the Umayyad dynasty, and then turn against the family of Muhammed nafsul zakkiya. Muhammed nafsul zakkiya was killed in 145 AH (after hijri, 762 CE), and many of his family members captured. Moulay Idriss escaped and was taken by his ‘servant’ (there is no modern day equivalent, but you could think of this as his ‘valet’ in the old English meaning of the word perhaps), Moulay Rashid to the maghreb. [BTW ‘moulay’ in Arabic can be used to mean both ‘master’ and ‘servant’, or ‘guardian’ as well as ‘ward’…translators of Arabic texts need to be careful of terms like this that they don’t make mistakes in translation. A digression worth the mention as the Orientalists have done plenty damage in bringing knowledge of the Muslim world to Europe by making several mistakes like this the past 200-300 years]. 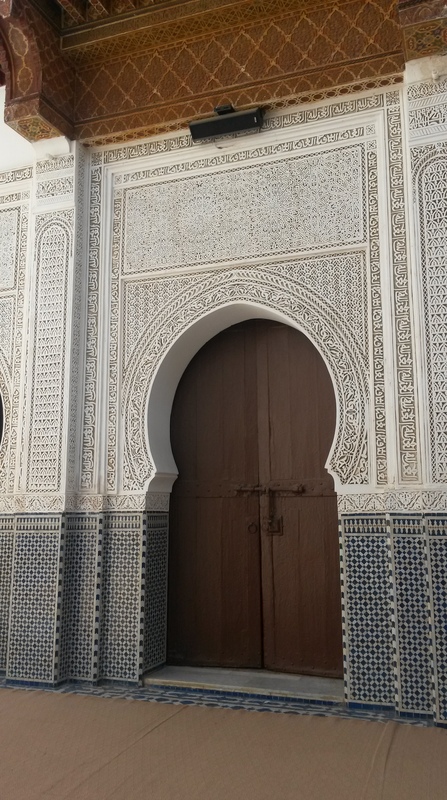 Moulay Rashid had family ties in the maghreb, his mother being a Berber tribeswoman, and news of Islam had already spread as far as the Berber tribes which had for the most part already converted to Islam. Therefore when Moulay Idriss arrived in the maghreb, he was welcomed with open arms as a great teacher by the Berber tribes, who gave him leadership and pledged allegiance to him. 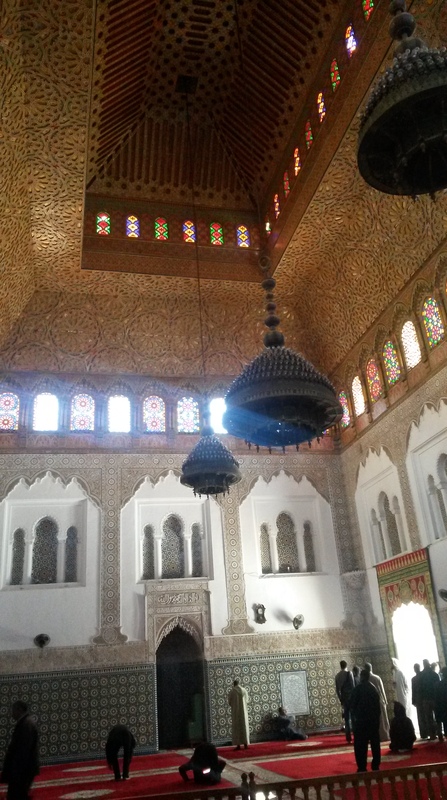 He founded a capital in what is now the town of Moulay Idriss and ruled there for a short 3 years. The caliphs in Baghdad, afraid of his popularity and rapidly growing influence, had him assassinated by means of a spy they sent to the maghreb. His wife, the lady Kinza, was 7 months pregnant at the time. In Muslim history, much is written about the nobility and wisdom of the lady Kinza. The boy born to her was named ‘Idriss’ as well. A prodigal child, he was carefully looked after by Moulay Rashid until at a very young age (perhaps early teenhood), all the tribes pledged allegiance to him as their leader. Idriss the second, moved the capital to Fez (Al-Faas), a project begun by his father. He lived a short time, dying in his thirties, but accomplished a great deal during that period. A master orator, leader, scholar, he memorized the Quran at a young age of course, and was a saintly person. 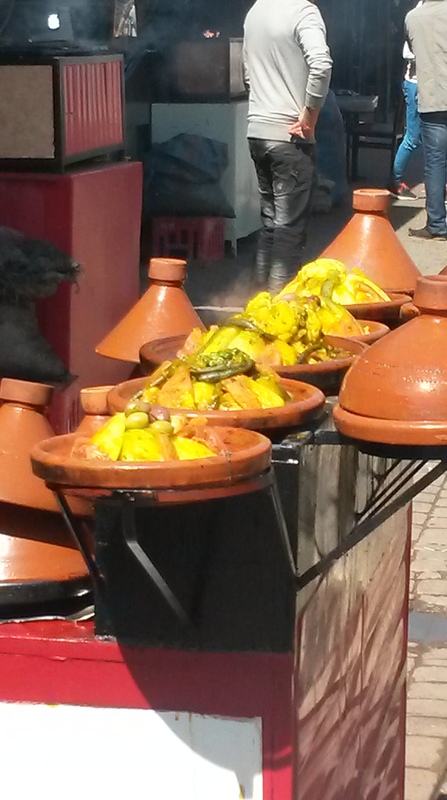 To get back to the tale of his father, Moulay Idriss the first is buried in the town bearing his name. It is a very picturesque town high up in the mountains (chosen for it’s strategic location) close to what used to be a Roman outpost. The mosque adjoining the compound of his tomb is stunning. We joined the congregation for the noon prayer there, and spent some time wondering around the town after. Only Muslims are allowed into the mosque complex though as it is a very sacred space. In the short time we spent there, we witnessed many beautiful experiences which I unfortunately cannot include in this medium. And perhaps on hindsight it is wiser to keep the space free from tourist cameras and the like. Some pictures I am able to share are below. Also to note, the love and reverence the people of the maghreb have for the family of Muhammed, peace be upon him is deep and ancient. 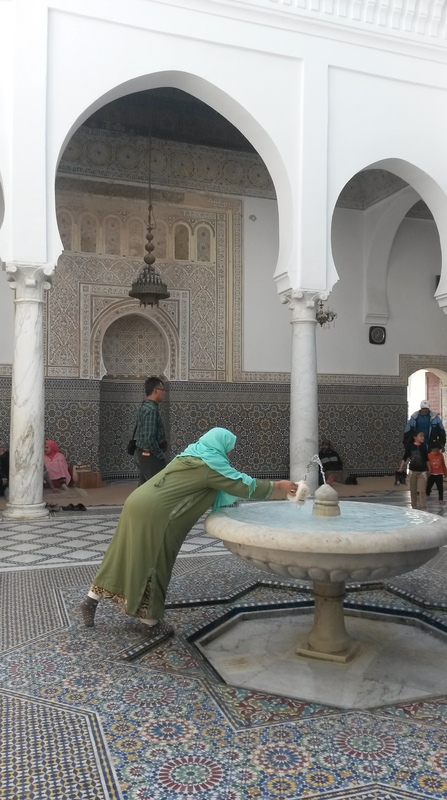 Morocco is a sunni country and many in the world today unfortunately have the impression the Sunni world is divorced from the love of the prophet (peace be upon him) and of his beloved family. This is not true, and has never been the case. It was nice to witness such deep love, unspoilt by all the modern woes, in this beautiful spot…that still bears the marks of the saintly and revered person buried there, a descendant of our beloved Muhammed (peace be upon him) who had that great noble bearing which is a mark of those of his family, peace be upon him. Peace and blessing be with you! To souls who never lost hope in the promise of their Lord. souls then in grateful joy. Let the hours between be as if an inconsequential moment. will drown out what you want to. need filling by empty blabbering. And ‘ere speaking, it needs deep thinking. true listening. It needs you to be quiet. So you can hear what God has never stopped saying. Assalamu alaikum, peace to all! The Quran is a phenomenal book. It has about 50 titles, most of which I don’t know. One, the better known is ‘Furqan’, meaning roughly, ‘criterion’, i.e., a way to distinguish between right and wrong. The most commonly used word, ‘Quran’ comes from the root word ‘qara’a’. The arabic root word system is amazing. Root words are usually derived of three letters (in arabic there are no vowels and consonants, it is a phonetic language with diacritical marks denoting vowel sounds), in this case; q-r-a’, which can then be formed in many versions to mean many things that are derived from that root word. ‘qara’a’ means to read a written thing, recite with or without a script, proclaim, convey, call, rehearse, transmit, deliver. In fact the first revealed word, which is found in the Quran as the first verse of chapter (or sura) 96, is ‘iqra’. It was the first revealed word to Muhammed, the final messenger, upon whom God shower peace and blessing, and indeed a fitting opening for what was to follow and the mission he recieved with that word. One of the Quran’s titles is shifa, meaning a ‘healing’. The recitation of the Quran carries immense healing and calming. Which is why often Muslims, even those who don’t understand arabic (the majority) will know how to recite the Quran. And this recitation has certain rules and methods. The best reciters or ‘qaari’s’ (you can see how the root word system is working!) often lead the prayers in Mosques, as during the prayer, verses of the Quran are recited. These recitations are beautiful and many around the world listen to recordings of them. And such is the healing power of the Quran, that the recording of it’s recitation is often used (i.e., by playing it over radio, internet, tapes etc) to cure people or comfort those who are dying. For myself, the Quran healed a broken heart and also soothed a mind when it was wandering ( I carry schizophrenia susceptibility genes and for a time was almost delusional due to some bad life incidents). Mashaallah (=by God’s grace), the Quran healed me. The words of my Lord are a soothing balm and comforter. That was a long prelude! But it was organic so I hope you will indulge me and I wanted to explain the context of what reciting means to a Muslim. This is a poem written a few days ago ater a peaceful pre-dawn time of reciting, sitting on a prayer mat that was made of my grandmother’s soft old white sari, folded many times and wearing the white prayer dress of embroidered (white on white) skirt and loose head covering. I hope you will like it and I wish for you many such moments of utter peace and comfort, of such closeness with the divine. Praise and Glory be to Him. To end I want to say, ss Muslims believe, any good in me is from God and God alone. I am gently lead. To a better way to live. Copyright Joymanifest Blog (C) 2012. There is a beautiful moon outside and the night is clear and still. These nights of the full moon of rabiul awwal…the time of the birth of the beloved, the final messenger Muhammed, upon whom be peace and salutations, what beautiful nights they are. Thanks and Glory be to God. And peace to you all. By the way, to my non-Muslim readers, water is one of the most often used words in the Quran and discussed in a very many varied contexts and instances. I forgot Thee my Lord, and for a moment thought of this world. So then I lost myself.